FabRx has successfully been awarded funding from Innovate UK, the UK’s innovation agency, to develop the world’s first 3D printer for the production of personalised medicines. The industrial research project, totalling over £600,000, will be led by FabRx in collaboration with Katjes UK – Magic Candy Factory, an award-winning 3D printing tech start-up who specialise in 3D printing of confectionary products. This project seeks to develop a 3D printer which is safe and ‘fit-for-purpose’ for the production of printed tablets (“printlets”) in a hospital pharmacy setting, adhering to regulatory and clinical guidelines. A major limitation of currently available medicines is that there are a limited number of strengths and sizes, which often lead to inaccurate dosing and care for patients. This is especially common in children as the current medications available are not easily adaptable or “fit for purpose” for their size and conditions. In addition, patients with certain conditions also can suffer from significant problems swallowing large hard tablets. This new development in 3D printed medicine will seek to resolve these issues, enabling dosing to be more accurately controlled with each dose being produced on demand specifically for each individual patient and their needs. 3D printing technology can enable each printlet to have an highly precise dose and even allows for the possibility of medications to be combined in a single printlet to make regimes of care easier for both doctors and patients to adhere to, thus resulting in better recovery rates and quality of life. These new concept medications will also have the option to come in personalised flavours and shapes to add more enjoyment to the process and encourage young children to take their medications more easily and regularly. Katjes UK – Magic Candy Factory and FabRx will use a patented soft vegan gummy gel formula to encapsulate the medications and 3D print their ‘printlets’, which will make it much easier and more enjoyable for patients of all ages. Alvaro Goyanes of FabRx said “FabRx is delighted to receive this award which follows many years of underpinning research into 3D printing of medicines. We are excited to work with the Magic Candy Factory, the world’s leading manufacturer of 3D printed food products, to bring 3D printing of medicines a significant step closer to the market”. Founded in 2014 by academics from University College London, FabRx has develop printed medicines and drug-loaded medical devices. The rapidly growing biotech business has a strong belief in the potential of 3D printers to revolutionise the way medicines are manufactured. 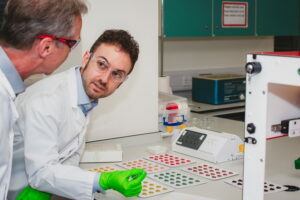 They have been working at the Advanced 3D Printing Lab at UCL conducting research surrounding 3D printed medicines for more than 5 years and have more than 27 scientific articles published and 3 patent applications. Since launching their first 3D printer for candy just over 2 years ago, Katjes UK – Magic Candy Factory have already set an unprecedented standard for customisation in the confectionary industry. They have now installed their magical machines in retail outlets across Europe, the USA, the UAE, New Zealand, Australia and China. They also 3D print custom made logos and selfies in candy for large corporate functions and private parties all over the world. All their candy prints in just 5 minutes making their 3D printer the fastest in the world, and all their ingredients are vegan, allergen free and Halal and Kosher friendly, meaning they can be enjoyed by almost anyone. 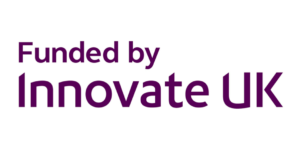 Innovate UK is passionate about funding businesses and research collaborations to help accelerate innovation and realise the potential of new ideas which makes personalised 3D printed medicine the perfect investment for them. FabRx are currently conducting clinical studies in hospitals in Spain using the Katjes UK – Magic Candy Factory model, and with the significant grant from Innovate UK, their extensive research and testing will become a much faster and optimised process. All parties are incredibly excited to embark on this innovative journey together and make the future of medicine 3D! In this world first study, FabRx’s personalised medicine 3D printer was integrated into a clinical setting to treat a rare metabolic disorder in paediatrics. Their 3D printing technology was used in the Pharmacy Department of the Clinic University Hospital in Santiago de Compostela to enable the on demand production of tailored dosage forms in response to each patient’s clinical requirements. This innovation enabled the production of tablets in a variety of dosages, colours and flavours, which were evaluated for patient acceptability and therapy control. The researchers found that 3D printing enabled a tighter control over target blood concentrations compared with the standard therapy, and that the flavours and colours of the 3D printed dosage forms were well accepted amongst all patients. The study will be published later in 2019. 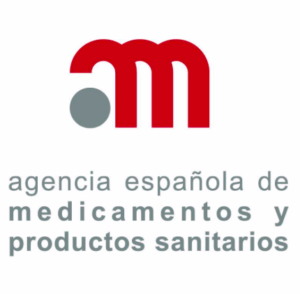 In Q1 of 2019, our team at FabRx approached two major European regulators (the MHRA from the UK and the AEMPS; Spanish Medicines Agency) to discuss the requirements for integration of 3D printing technology for personalised medicine production. The meeting with the MHRA was conducted at their Innovation Office Headquarters in Canary Wharf, London, and the regulators were supportive of the developments of our 3D printing technology for this application. Excellent feedback and suggestions for how best to integrate this technology was provided from both regulators, and ongoing collaborations with the Innovation Offices will enable the development of a 3D printer and process suitable for tailored, small batch medicines production at the point-of-care. We plan to visit the EMA and FDA to gain the overall opinion of Europe and the US later in 2019. FabRx directors, Sarah Trenfield and Alvaro Goyanes, have provided their expert opinion on 3D printing in a recent article published by ‘Innovations in Pharmaceutical Technology’. The article provides an overview of the benefits of 3D printing in healthcare, the challenges to integration and a forward-looking approach to how best this technology could be integrated in the future. You can access the article here for free to find out more. This article is taken from Innovations in Pharmaceutical Technology April 2019, pages 12-14. © Samedan Ltd.
As a world first, FabRx have applied their innovative 3D printing technology for the production of pellets (Miniprintlets). The study details the capability for selective laser sintering (SLS) to produce small oral dosage forms (1mm and 2mm in diameter) containing multiple active ingredients (paracetamol and ibuprofen) in a single step process. The researchers found that by changing the excipients included in the formulations, drug release could be modulated from immediate through to modified release profiles. FabRx’s latest innovation on 3D printing pellets has been published in Pharmaceutics, which you can access here. 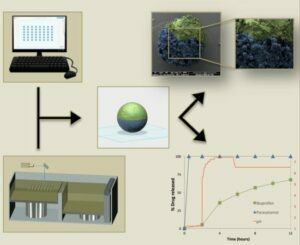 Paper abstract: Selective laser sintering (SLS) is a single-step three-dimensional printing (3DP) process that can be leveraged to engineer a wide array of drug delivery systems. The aim of this work was to utilise SLS 3DP, for the first time, to produce small oral dosage forms with modified release properties. As such, paracetamol-loaded 3D printed multiparticulates, termed miniprintlets, were fabricated in 1 mm and 2 mm diameters. Despite their large surface area compared with a conventional monolithic tablet, the ethyl cellulose-based miniprintlets exhibited prolonged drug release patterns. The possibility of producing miniprintlets combining two drugs, namely paracetamol and ibuprofen, was also investigated. By varying the polymer, the dual miniprintlets were programmed to achieve customised drug release patterns, whereby one drug was released immediately from a Kollicoat Instant Release matrix, whilst the effect of the second drug was sustained over an extended time span using ethyl cellulose. Herein, this work has highlighted the versatility of SLS 3DP to fabricate small and intricate formulations containing multiple active pharmaceutical ingredients with distinct release properties. Are you interested in doing a PhD on digital health, 3D printing and pharmaceutical technologies? Are you on for a 1st or 2:1 in pharmacy, pharmacology, chemical engineering or a related subject? UCL School of Pharmacy and FabRx are recruiting a PhD student for an exciting 4 year project, fully funded by the EPSRC. Around the world, narrow therapeutic index (NTI) drugs are used to treat a wide range of conditions, including microbial infections, epilepsy and coagulation disorders. However, these NTI drugs require regular therapeutic drug monitoring (TDM) and dose titrations, involving processes which are highly invasive (requiring the frequent withdrawal of blood samples) and expensive, costing the NHS over £136 million annually. To reduce the burden on healthcare services and to improve patient outcomes, a new method of point-of-care monitoring and drug dosing is required. As such, this project aims to engineer a non-invasive platform for real-time monitoring and personalised dosing of NTI drugs using three-dimensional printing. The project will be split into two parts: Part 1) development of a portable device for the rapid evaluation of drug levels in non-invasive biological fluids (e.g. saliva or urine) for use at the point-of-care and; Part 2) Development of personalised 3D printed dosage forms containing therapeutic drug dosages based on the clinical feedback from the portable device developed in Part 1. Via the intersection of these two cutting edge technologies, the management of NTI drugs will in the future be revolutionised, reducing healthcare spends and improving treatment outcomes. Click here to apply now. To find out more information, please contact Professor Abdul Basit. Sarah Trenfield, FabRx’s Director of Innovation, will be presenting about ‘3D Printed Medicines – A Digital Pharmacy Era’ in a talk at the Med-Tech Innovation Expo 2019. Held in Birmingham UK, the congress brings together key opinion leaders and researchers in the field of digital health and innovation to share their research and collaborate on new ideas. Don’t miss out on hearing about our exciting 3D printing technologies and how they will revolutionise the way in which patients are treated. The presentation is scheduled to take place on the HealthTech stage at 11:50 on Thursday 16th May 2019 (Day two of the conference). Two co-founders of FabRx and leading UCL academics, Professor Abdul Basit and Professor Simon Gaisford, have brought together the world-leading experts to author their book on 3D printing in the pharmaceutical field. FabRx staff were invited to author several chapters, including Sarah Trenfield (Director of Innovation) and Alvaro Goyanes (Co-founder and Technical Director), with an aim to provide extensive information on an array of 3D printing techniques and their applications in clinical pharmacy practice. Book summary: 3D printing is forecast to revolutionise the pharmaceutical sector, changing the face of medicine development, manufacture and use. Potential applications range from pre-clinical drug development and dosage form design through to the fabrication of functionalised implants and regenerative medicine. Within clinical pharmacy practice, printing technologies may finally lead to the concept of personalised medicines becoming a reality. This volume aims to be the definitive resource for anyone thinking of developing or using 3D printing technologies in the pharmaceutical sector, with a strong focus on the translation of printing technologies to a clinical setting. Current printing technologies and their state-of-the-art applications in the pharmaceutical manufacturing supply chain have been reviewed, as well as the discussion of modern drug product manufacture from a regulatory perspective. 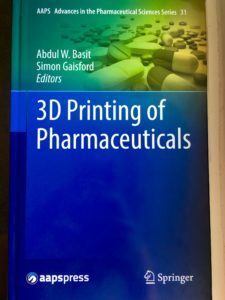 This book is a highly valuable resource for a range of demographics, including academic researchers and the pharmaceutical industry, providing a comprehensive inventory detailing the current and future applications of 3D printing in pharmaceuticals. To find out more information or to purchase the book, please follow the link: https://www.springer.com/us/book/9783319907543. Free previews of each chapter are also available. FabRx’s co-founders, Professor Abdul Basit and Professor Simon Gaisford, have successfully been awarded an Interdisciplinary Research Collaboration (IRC) grant by EPSRC worth over £10 million to improve therapies of hard-to-treat cancers. The collaboration, led by Cambridge University and involving University College London (UCL), Imperial, Birmingham and Glasgow Universities aims to develop an array of new technologies to improve survival rates for hard-to-treat cancers. Professor George Malliaras, who leads the IRC, said “Some cancers are difficult to remove by surgery and highly invasive, and they are also hard to treat because drugs often cannot reach them at high enough concentration”. In particular, he said, “Pancreatic tumour cells are protected by dense stromal tissue, and tumours of the central nervous system by the blood-brain barrier”. The team hopes to assess and develop a range of new technologies to deliver drugs in high enough concentrations to kill cancer cells. Cancer scientists and clinicians from the Cancer Research UK Cambridge Centre and partner sites will carry out clinical trials. The UCL team will focus on manufacturing technologies to ensure the novel devices are able to be manufactured and robust enough to withstand surgical manipulation. Prof Gaisford said “Our expertise and world-leading experience in designing and manufacturing pharmaceutical products with 3D printing means we are ideally equipped to scale-up and manufacture the exciting drug delivery technologies that will be developed by our project partners”. Prof Basit said “We are very excited to be able to work on such an innovative and exciting project and we look forward to taking 3D printed medicines into the clinic to improve patient outcomes”.